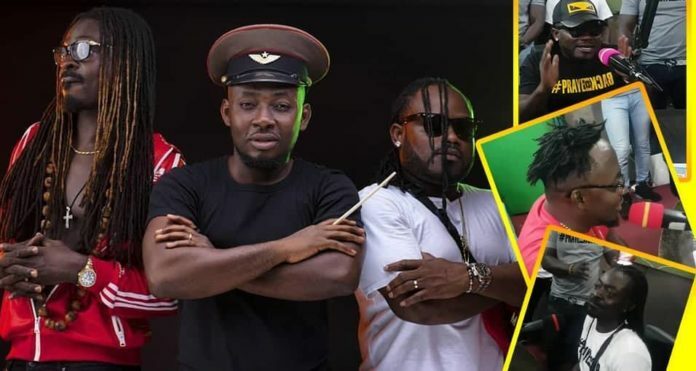 One member of revived music group Praye, Choirmaster is still angry with the organizers of VGMA after his group Praye failed to get a nomination at this year’s event. The nominees for the 2019 VGMA was announced last Friday after a short ceremony held at the Labadi Beach. Immediately the nominees for the best group was announced, Choirmaster and his other group members took to social media to question why Praye was not nominated in the best group category. In a new post on social media, Choirmaster this time round stated that 3Music award which is just 2 years in the system is more credible than VGMA which would be celebrating its 20th anniversary this year. The post 3Music Awards is far better than Vodafone Ghana music awards – Choirmaster appeared first on GHANAPAGE™.